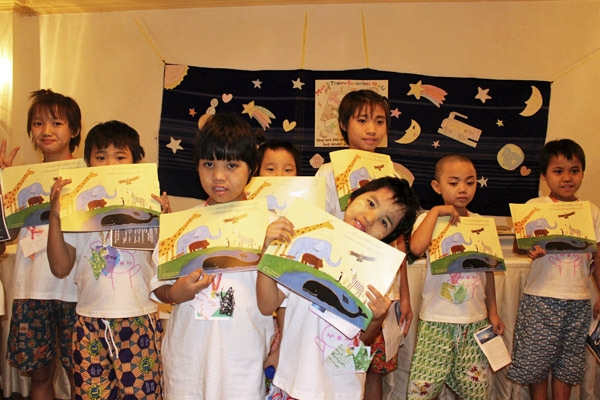 Our original song “HEARTHEART” was sang in chorus and our picture books were donated at the music event in Myanmar. 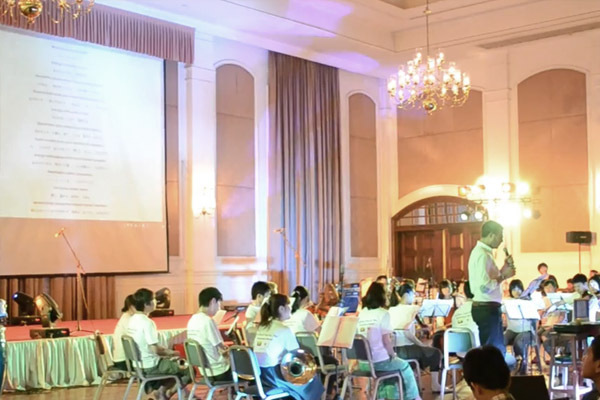 “The Music Train for The Borderless World”, the charity event that conveys fascination of music to children, was held by Japan Heart, Casablanca and Orchestra MOTIF in Yangon, Myanmar on March 20, 2015. As one of the programs of this event, all the participants sang our original song “HEARTHEART” to the accompaniment of strings played by Japanese volunteers. 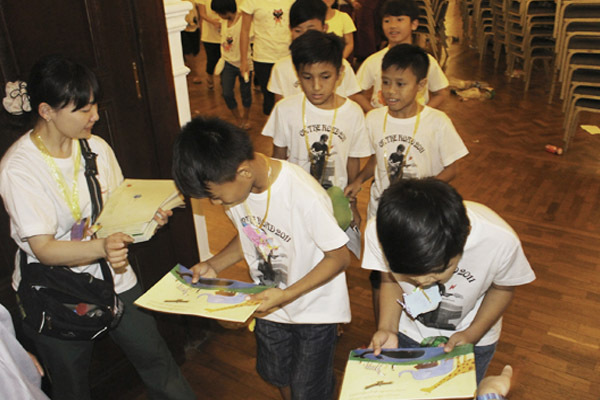 After the event, our picture books translated into Braille were handed to each student of the school for the blind. 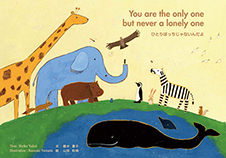 Our picture book "You are the only one, but never a lonely one", which we donate to children in the world. 2019 © Copyright XYZ, All Rights Reserved.